April is upon us already and it looks like a nice start to it, with some reasonable conditions forecast for the weekend. 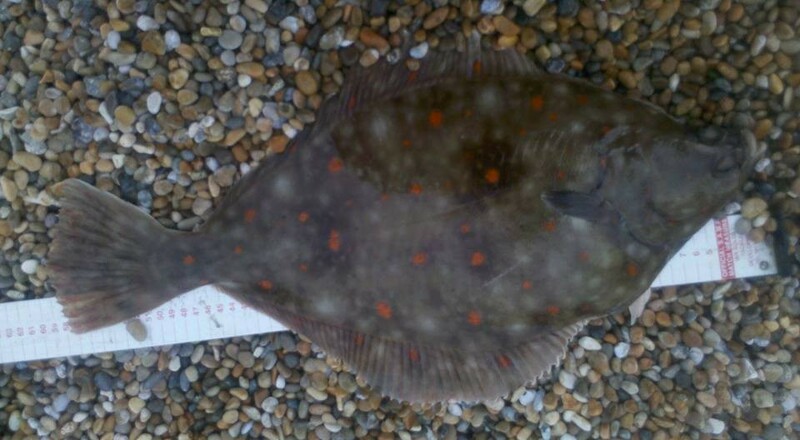 It is just as well, as it is the Weymouth Angling Centre Flat Fish open on Chesil Beach. I certainly hope that the water coulour improves by Sunday, as I have never known the water to stay so coloured for so long after a blow. So what else can we look forward to catching this month? For a start the Mackerel numbers will increase steadily as the month progresses and with them will come the larger predators. Ray’s Bass and on the boats, the first of the Tope. Herring normally feature in catches from the beach and pier, often caught as a by catch by anglers fishing for Mackerel. From the rocks we will see plenty of Wrasse and if the water stays clear, we will get plenty of Pollock. April is the time for the large Garfish to congregate off the Bill for breeding. Chesil Beach forecast: the reports back this week suggest that Chesil did not fish that well, especially down the western end, where very few Plaice were caught. However there were plenty of Dogfish and a few Rays when the water was heavily coloured. Conditions look much better for this weekend, as the water is clearing and the tides are very similar to the tides two weeks ago. Those tides proved very good for the Plaice. However as I always say about Chesil, it really can be very mark specific. If you are 50yds. from a holding spot you may add well be 50 miles away. How do I find these spots? Unfortunately there is no magic formula. Put in the hours and find them, then make sure you know exactly how to get back to them the next time. Alternatively hire a guide for a session. Other than myself, there are several excellent guides in this area, including Pete Hegg and Paul Black. Portland: it looks good for Wrasse this weekend and if the water clears enough then Pollock will also be a good target. Get out your lures for the best sport, or be prepared to lose plenty of tackle. If you are going to target Wrasse on bait then the best bait at this time of year is Ragworm. Portland Harbour: Still quiet in the harbour, but that will all change in a few weeks. I will continue to look for Mullet and bait fish. Weymouth Bay: The good news is I have seen the first of the Mullet in Weymouth harbour. I will let the numbers build up before I have a go for them. Preston will produce Dabs and the odd Plaice, but night tides could see some Rays. The piers are a great place to take the kids during the easter break, with lots of Pout and Wrasse showing. 2 Responses to "What can I catch from the beach in April"
Great site and really good information. If your lucky enough to live coastal, it’s a nice day out, for people traveling to the coast, I for one have given up. Last time in Devon, I was casting out crab…..to catch a crab. But that’s what’s left.. I am not talking about filling a freezer full of fish, it’s gone too far with over fishing for that, it would now be irresponsible almost. If I am lucky enough to catch a bass, of course it would go back, there is just not enough fish anymore…. I don’t agree that sea fishing is past it’s best. I have had some of the best Plaice and Cod fishing I have ever had over the past couple of years. Yes the Bass numbers are down, but hopefully they will increase with the new measures in place. My advice is to find out what species are around at the time and target those.